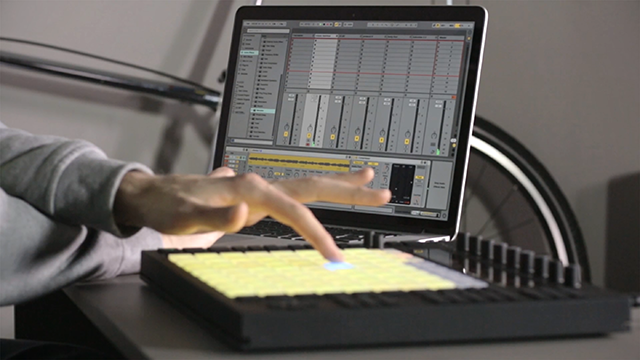 Optimizing and organizing an Ableton Live template using handy key commands. A custom live template can save hundreds of hours on tedious functions which you’re bound to perform in every project of yours, this helps keep you creative and not break your flow. The trick is to find the functions you’d use most often and map your keyboard commands to integrate the same in the most intuitive way possible. I find it most convenient to have single key commands for certain functions, without overwriting Live’s preexisting shortcuts. Single key commands are just a personal preference. You may choose any permutations and combinations you find most convenient. Here are a few useful commands that I have integrated into my Live template. If you’re anything like me, you use locators to organize different sections and take notes directly into live’s arrangement. To do the same head over to the arrangement view, hit (Command/Control+K) to enable lives key mapping and click on the “set” section. Then chose ( / ) as your keyboard command. You can choose any key you like, I’ll explain in the next section why I have chosen this key in particular. This function can be used to add/ delete any number of locators you like. Hit (Command/Control+K) again and click on the arrow pointing west to the left of the “set” button. Then press the ( , ) on your keyboard. Repeat the same clicking on the arrow facing East to the right of the “set” function and press ( . ) on your keyboard. Now you can navigate through the various locator sections for convenient playback, allowing you to jump back and forth between diverging sections. I personally chose these particular keys to keep them as cohesive and convenient as possible. If you’d notice ( , ) sits to the left, ( . ) sits to the right, they also have the demarcation (< ) and ( > ) on the keyboard, while the ( / ) key sits exactly to their right for the most convenient addition and subtraction of the markers. I personally find it much easier to have this function mapped to a key, rather than having to use the mouse for the same. Hit (Command/Control+K), click on the “TAP” section to the left of the project Tempo. Then set the ( ` ) key to enable the same. I chose this key because it correlates to the location of the same within the interface. Now you can use this button to play along and appropriate your project tempo. Hit (Command/Control+K) and chose the device on/off section. Then map ( p ) or any other key you deem fit to the same function. Now you can jump back and forth to mono/stereo while mixing without having to click on the master chain each time and manually turn the same on and off. This is by far the most intuitive and useful keyboard mapping in my opinion, Hit (Command/Control+K), and click on the record enable button. Then choose ( r ) as the equivalent keyboard command. This saves you the hassle of having to navigate to the same each time you’d like to record a new scene/ automation into the arrangement view. Do note that you’d still have to arm the track you’d like to record on or disarm all tracks when you’re recording in automation by hand. The last thing you’re going to want to do is save these key commands to a your default template, so you don’t have to do this for each individual project. This ensures, each time you open up live all of the changes you made are saved and ready to go as a default template. These are but a few basic ideas to get you started, you can apply the same principle and map essential functionality, which is central to your individual workflow.